This is the first in a series of reports due to emerge from our horizon scanning project. What has Jisc done to help? What could Jisc do in the future? Cloud computing occupies an unusual place in the technology landscape. It has become nigh on ubiquitous through consumer products and services, but is still an emerging technology for a large proportion of institutions. To ensure that institutions are at the forefront of knowledge on the benefits of cloud, we have consolidated the latest research and identified the most pertinent technological trends for consideration that have positive implications for the sector. In this report we discuss the potential of cloud computing in terms of institutional agility and efficiency, and in empowering individual learners and staff members. We also outline recent Jisc work to reduce the friction of engaging with cloud technologies, and then propose a direction of travel that will enable UK colleges, universities and skills providers to exploit the potential of cloud computing to its fullest extent. We hope you find our report useful and enjoyable, and would love to hear your thoughts about how we can best take the cloud conversation forward – please do get in touch using the contact details at the bottom of this page to discuss it further. "The IT industry tell us that cloud is the new normal, but there is still reluctance to commit key business systems to the public cloud. Part of this is about trust, which this report shows is clearly present in other sectors like the UK government - and for some very sensitive data. There is also a perception in some quarters of costs for public cloud being unpredictable and difficult to contain. We need to move beyond these problems, real and perceived, in order to make the most of the potential that cloud offers for use cases like rapid prototyping and dynamic scaling of services. Leveraging the Janet Network to reduce the cost and friction of switching providers will let us make cloud truly a utility, but we also need to build up cloud expertise in our institutions in parallel. A common reason for adopting cloud services is to free up internal staff resource – we need to be more innovative and consider new ways of working to make greater use of cloud services and so free up more staff across the sector to support institutional innovation in key areas such as teaching and learning and research." Cloud computing is a portmanteau term encompassing everything from infrastructure as a service (essentially renting someone else’s server equipment) through to software as a service (typically websites that someone else runs for you). In the middle, there is a platform tier providing the microservices that power the likes of Android and iPhone apps, and also many web-delivered services. Cloud computing powers the services of internet giants like Microsoft, Google and Amazon and that technology is now available to institutions, learners and researchers. This has the potential to be hugely empowering, for example by extending the reach of an individual’s research far beyond what would historically have been possible. Cloud can also deliver significant operating efficiencies to institutions and help to make IT provision dramatically more flexible and agile. While we tend to call the result ‘cloud computing’, each of these different strands has its own use cases, user bases and overall dynamic. Exemplified by the likes of Amazon Web Services (AWS), Google Compute Engine and Microsoft’s Azure Virtual Machines. Each of these services gives near instant access to a server hosted in one of the cloud providers’ data centres, pre-loaded with the operating system and often (sometimes for an additional cost) the application software you require. Exemplified by the likes of the Microsoft Office 365 and G Suite for Education collaboration suites, and the Salesforce.com Customer Relationship Management (CRM) system. Software vendors are increasingly delivering applications through cloud computing for reasons of convenience and customer retention. Essentially a kit of parts which can be used by developers to simplify the process of building and deploying applications. Examples include facilities for reliably hosting applications at scale that have been written in common programming languages such as Amazon’s Elastic Beanstalk. Providers often expose programming interfaces into their own software and services, such as the Google Maps Application Programming Interface (API), which is widely used to integrate Google Maps into third party sites and services. We should note here that enterprise cloud services are typically backed by a contract and service level agreement (SLA), whereas services aimed at consumers tend to disclaim any warranty or liability and often attempt to derive revenue through targeted advertising. There are facets of some providers’ services that fit this consumer cloud label, which can be a source of confusion. For example, Google offers access to several products, such as Gmail, under both enterprise and consumer terms and conditions. Software as a service has proven to be an attractive model for software deployment because it removes the need for the customer to install and maintain the application and also the need to provide hardware to run it on. Cloud means that highly advanced applications can be made available to staff and students at the push of a button. Cloud computing has many implications for further and higher education institutions and skills providers. At Jisc we estimate that we have saved over £100,000 per annum by moving our own services to the cloud, using Amazon Web Services and the Arcus portal. Other advantages and implications of moving to the cloud include are set out below. As of autumn 2014 both Google and Microsoft offer unlimited file storage as part of their cloud collaboration suites. Google also offers unlimited email storage. This is a hugely significant development that will affect institutional decision-making around hardware replacement cycles for storage area networks (SANs) and network attached storage (NAS) for the enterprise. This is not inherently a function of cloud computing, but instead a by-product of firms such as Microsoft and Google assigning large teams of highly capable developers to their collaboration suites, following an Agile development approach with frequent minor point releases. Cloud-based virtual servers and cloud platform services can greatly accelerate the software development process by providing reusable components and simplifying the creation of test and development environments. Cloud computing has particular potential to help institutions deal with ‘success disasters’ like a website that is suddenly very popular. Examples include peak loading due to students going through clearing or submitting assignments online. Cloud-based web hosting services can be configured to scale up automatically to a set limit to avoid breaking the bank. A number of orchestration tools are now available that give institutions ways to burst out beyond their own in-house capacity, eg by moving workloads from virtual machines running on in-house hardware to public cloud providers’ services. At present this is rarely smooth or seamless. Hand in hand with the rise of cloud computing we have seen increasing interest in tools such as Docker and Vagrant for packaging and deployment of application software and microservices. These permit the developer to create prototypes on their own local hardware and then push the outputs onto public cloud providers. Services are now becoming available that have no direct in-house or ‘non cloud’ equivalent. Google’s Prediction API and Amazon Machine Learning provide learning as a 'black box' service that the user interacts with via an API. Conversely, Microsoft's Azure Machine Learning platform also supports user-defined code written in R and Python. As we move into an ever more data intensive future, even in-house analytics applications may need to leverage some of these cloud APIs. Cloud computing also offers opportunities for significant efficiency savings, and for making a huge contribution towards institutional carbon savings targets. Using Amazon’s pricing calculator we found that for just under £200, a junior researcher could create a ‘cloud supercomputer’ with 500 processor cores and 750 gigabytes of memory for a few hours to carry out an important calculation. The difference between dedicated high performance computing facilities and cloud services is increasingly being eroded. For example, Microsoft's Azure Big Compute service provides low-latency, high bandwidth Infiniband support for Linux and Windows workloads, with graphics processeing unit (GPU) acceleration. It is important to take an informed view of cloud services, particularly where risk management and running costs are concerned. Cloud can be a trap for the unwary, or a hugely valuable tool to support institutional efficiency and effectiveness. For example: if left running permanently, perhaps due to human error, the computer cluster in the example above would cost over £10,000 a month. This pay-as-you-go model for computing can require a significant culture shift on the part of the institution. While some universities and colleges have pursued a leasing approach to servers and storage, it is far more common to capitalise these as core facilities. Changes to processes and policies will likely be required, and perhaps a new budgeting model for IT services. Institutions can also run their own private clouds, for example, using open source software such as OpenStack on existing server hardware, or off-the-shelf commercial software such as the VMware vCloud suite. Private cloud can be a stepping-stone to public cloud services such as Azure. Alternatively, it could be viewed as a ‘hedging bet’ – putting the institution in a position to exploit public cloud should it wish to, while giving it many of the benefits of industrial scale facilities such as the ones available from the public cloud providers. We can learn a lot from institutions that have begun to explore the possibilities of cloud computing. "At the University of York we have seen first hand the transformative potential of cloud technologies like G Suite for Education, taking institutional processes that were formerly manual and labour intensive and reducing them to a few mouse clicks. It's clear that cloud has a lot more to offer us and there are huge potential efficiency savings here if we can get it right." Over the next couple of sections we have highlighted examples of how cloud is being used in research and education. They may help to signpost opportunities for cloud at your own institution. The University of Westminster estimates that it saved £1m by moving to G Suite for Education for email and other online collaboration facilities. An additional benefit has been reduced time spent in systems and user support and a minimal number of calls for support. Staff told Google that, moving to the cloud has ‘liberated staff and students from the smaller storage limits of the previous in-house solution’. Ealing, Hammersmith and West London College has also migrated to G Suite for Education. Staff there have said that each year, 20,000 new accounts are created providing 600 terabytes (around 150,000 DVDs worth) of storage in less than five minutes. Soon after this article was written Google moved to offering free unlimited storage. “will save us at least £500,000 in infrastructure and staffing over five years”. We should not be surprised that the free cloud collaboration suites from Google and Microsoft have achieved some success. Jisc’s recent cloud survey found that over 80% of institutions were using one of these public cloud providers for student email, although less than half were using them for staff email. Office 365 adoption has been driven in part due to Microsoft’s bundling the Office suite for students - also for free. However, the survey results show that cloud is by no means the norm in further or higher education. Notably, 29% of respondents had no plans to use public cloud to support research at their institution, and 31% did not intend to use public cloud for business applications. "We've seen some great examples in this report of how cloud computing can make our institutions more agile and support continuous improvement in teaching and learning. Imagine if we made hundreds of small improvements to every year to the way we do things, in the same way that Google do with their cloud services. What a world that would be! But cloud computing also offers the FE and skills sector a huge opportunity to cut its cost base, through the free Google and Microsoft services, whilst improving the teaching and learning experience to boot. You only have to look at the examples in this report to see that there are tens of millions of pounds in efficiency savings that can be achieved by moving college email and collaboration services into the cloud." Moving beyond cloud for collaboration and into data-intensive research, we see a number of examples of cloud services being used for high performance computing and big data. For example, Mount Sinai Hospital is using Amazon Web Services to mine more than 2,000 breast and ovarian tumour and germline DNA sequences (100 terabytes of data), generated by The Cancer Genome Atlas consortium. The American charity Autism Speaks recently collaborated with Google as part of its AUT10K programme to sequence the genomes of 10,000 people on the autism spectrum. Autism Speaks is uploading over 100 terabytes of genome data to the Google Genomics cloud workbench. Cloud computing is well suited to internet of things applications, such as the Brazilian Cloud Forest Sensing project using Microsoft Azure to manage and process data from hundreds of sensors. It has become commonplace for the major public cloud providers to collaborate with university and college researchers, notably through the MIcrosoft Azure for Research programme, AWS in Education grants from Amazon, and the Google Research Awards programme. In addition, Amazon hosts public data sets of interest to researchers. We also see that cloud technologies for high performance computing and big data have started to be adopted by industry for R&D and as the basis for new products. For example, Philips used Amazon Web Services to build its HealthSuite platform. This gives healthcare providers actionable insights by processing 15 petabytes of patient data gathered from 390 million imaging studies, medical records, and patient inputs. The Estonian government has explored setting up a cloud-based replica copy of its key infrastructure using Microsoft’s Azure service. Closer to home, the UK Supreme Court moved to Office 365 in early 2015, HM Revenue & Customs announced that it would be migrating to G Suite for Education in the summer of 2015, and the UK parliament’s email moved to Office 365 in 2014. 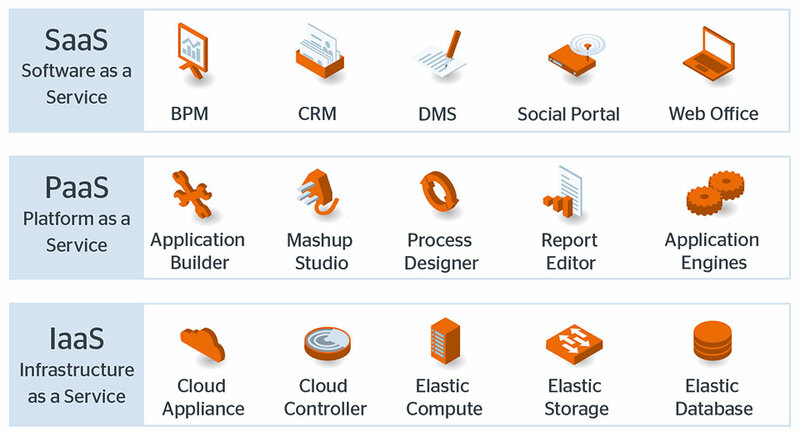 We partnered with Arcus to build an institutional front end portal onto the Amazon Web Services product suite. This provides consolidated billing, volume discounts, and allows delegated authority for budgets to departments or research groups. Historically, much institutional use of cloud computing facilities such as Amazon Web Services has taken place with individual users purchasing capacity with their own credit cards and then claiming the costs back as expenses – so-called credit card professors. We brokered deals with public cloud providers for online collaboration suites, reducing the friction of taking up G Suite for Education and Office 365 – saving institutions from having to spend time and money negotiating directly with the service providers. The Financial X-ray helps IT departments to ‘know their numbers’, benchmarking, understanding and easily comparing overall costs. It is a useful tool to build a business case for changes in IT infrastructure and to create an ongoing mechanism for dialogue between finance and IT departments. It also provides a means of highlighting the comparative cost of shared and commercial third party services. Our shared data centre in Slough is the ideal place to set up a private cloud. Working closely with anchor tenants including Imperial College, University College London (UCL) and King’s College London, we have set up a single supplier framework agreement for the detailed design, supply, installation, configuration, commissioning and maintenance of a co-location datacentre facility. Our Janet Network peers with Google, Microsoft and Amazon giving high bandwidth and low latency access to their cloud services. This in turn helps institutions to take up virtual private networking services like AWS Direct Connect to use cloud provider facilities as an extension to the campus LAN. Our key recommendation is that Jisc should work with the sector and public cloud providers to make it easier for institutions to switch between cloud providers and to migrate workloads between the public and private clouds – leveraging public investment in the Janet Network. Our pioneering hybrid cloud work with Loughborough University and Logicalis has shown that it is possible to move live services between providers with a minimum of disruption – for example, preserving service IP addresses. Janet: our "national grid" for cloud? We now need to explore how this can be made the norm to enable institutions to take advantage of the intense competition between cloud vendors, and fully exploit the elasticity that public cloud provides. Smartphones and tablets have established a culture of ‘package once, install a billion times’, but our colleges and universities still commonly package common applications separately and independently for distribution to users. This is inefficient and it diverts highly skilled IT staff from activities that could genuinely add value. With the availability of application virtualisation technologies such as Docker, Numecent’s Application Jukebox and Microsoft’s Azure RemoteApp, it is now possible to take a ‘package once’ approach to an institution’s common applications, and run them on any device. The formation of the Open Container Project in summer 2015, with broad industry support, shows that application virtualisation is set to rapidly become the norm. We believe that this app as a service approach will be particularly attractive for work-based and community learning in the further education and skills sector, which is often dependent on employer premises and community venues that change location in response to demand. Cloud services offer the potential for more flexible provision that is less location dependent. Jisc is ideally placed to act as a trusted broker on behalf of the sector to make this a reality. By working with software vendors and public cloud providers we can save colleges and universities millions of pounds in staff time while also increasing institutional agility. We have outlined two ‘moonshot’1 ideas above, but it is clear from the results of the Jisc cloud survey that practice with established cloud technologies is still quite variable. We believe that there is a need to come together to share our experiences of what works, building capability at institutions and identifying areas where further intervention would be helpful. This is an area where Jisc, the Universities and Colleges Information Systems Association (UCISA) and the Russell Universities Group of IT Directors (RUGIT) can collaborate to identify and promote best practice in adoption of cloud technologies. Together, we can assist universities, colleges and skills providers to prepare for the step change required in order to fully embrace and embed the cloud.